AS220 Industries is a collection of community workspaces and resources that offers affordable, project-based, experiential learning in digital fabrication, printmaking and media arts. By providing access to studio space, tools of the trade, and varied training opportunities, AS220 Industries fosters a diverse and dynamic environment for learning and making. With our hands-on approach, students are encouraged to engage in peer-to-peer learning and teaching as they explore, create, and innovate. To learn more about the Printshop, AS220 Labs, or Media Arts, select one of the icons above. The AS220 Printshop is a public-access printmaking studio offering intaglio etching, traditional stone lithography, letterpress, silkscreen, and offset facilities. 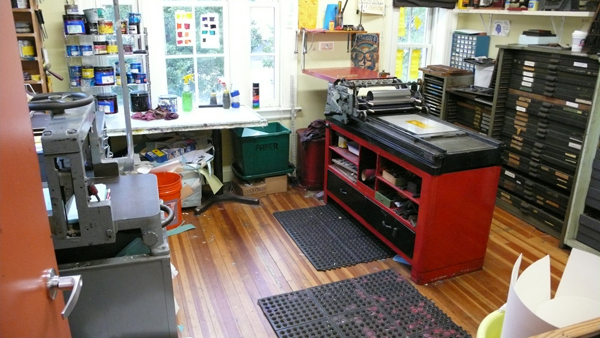 The shop is equipped with a range of printing equipment; including a Vandercook SP4 Letterpress and a massive Takach intaglio etching press with a 4.5’ x 9.5’ press bed donated by the Rhode Island School of Design (RISD). The AS220 Printshop is committed to promoting the full breadth of printmaking, supporting local creativity through affordable workshops, a vibrant learning community, and access to professional tools and facilities. The shop incubates new artistic voices through its educational opportunities, while simultaneously creating rewarding teaching opportunities for Shop Members and printmakers in the community. Since the Printshop’s reincarnation in September 2007, it has supported a wide range of activity from commercial offset jobs to show poster runs to fine art editions, and much more. 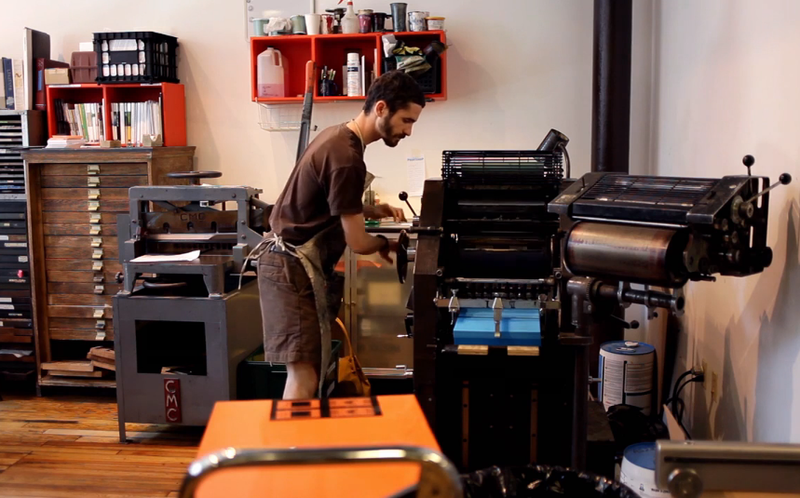 Since 2005, the AS220 Printshop has taught over 1,500 individuals to become makers of multiples. 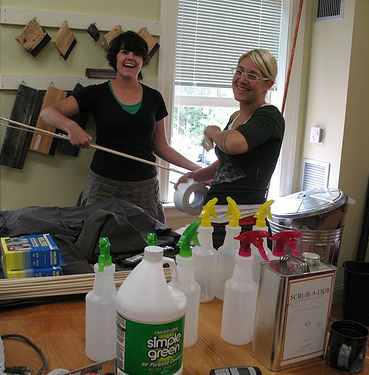 Each year, approximately 550 people enroll in one or more of the Printshop’s classes. Our dedicated team of 2 staff members, just over a dozen Key Members, and around 15 Shop Members supports a shop that is publicly-accessible 5 days a week. Our resources range from a 1950’s letterpress to a one-of-a-kind 9 1/2 foot etching press. We support a community of over 400 active shop users from all over Rhode Island and across New England. The Printshop also serves the young artists engaged with AS220 Youth, a free multi-site arts education program focused on those in, and transitioning out of, state care and custody. Each week, a group of students ages 14-21 pursue printmaking at the Shop as an integral part of the Youth Studio’s visual arts curriculum. Silkscreening squeegees, screens, inks, emulsion, etc. Brayers, pallete knives, inks, etc. Takach Etching press with 4.5′ x 9.5′ bedPrinting on the Takach press requires at least one month notice. 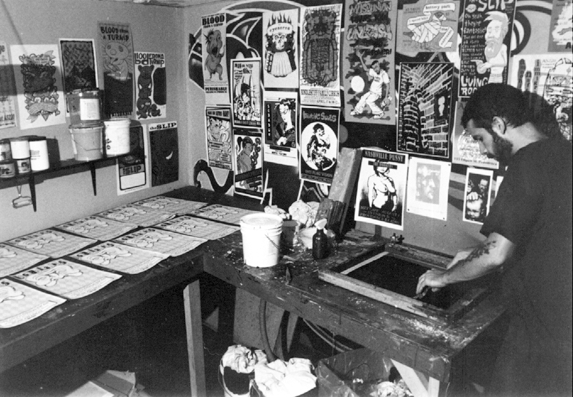 The first iteration of the AS220 Printshop was spearheaded in 1996 by AmeriCorps*VISTA Mark Pedini. 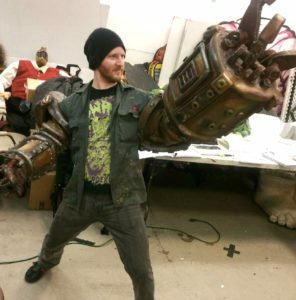 Originally located in the basement of AS220’s Empire Street Complex, the Printshop provided silkscreen printing facilities to novice and experienced printmakers in Providence. In 2003, increasingly stringent fire codes led to the Printshop’s closure. With the acquisition of the historic Dreyfus Hotel at the intersections of Mathewson St. and Washington St., AS220 recognized the opportunity to open a second Printshop and fill the hole left in by its popular basement studio. 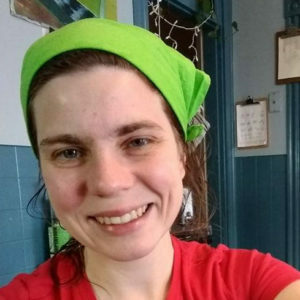 A full-time AmeriCorps*VISTA, Morgan Calderini, was enlisted to establish and manage the Printshop. Calderini, aided by a team of around fifteen volunteers, opened the second Printshop in September 2007. In its first year, the Printshop at the Dreyfus established the model of the Printshop that exists today, one that offers affordable access through multiple membership plans and diverse educational offerings. In late 2010, demand for the Printshop’s resources led to expansion. From its 500 sq. 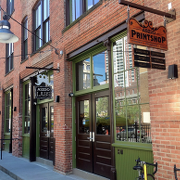 ft. two-room incubator space, the Printshop moved to a space six times larger, just next door to the Dreyfus in the recently renovated Mercantile Building. The move provided a new home for several stored (and storied) presses, including the Takach etching press. AS220 Labs is a teaching space, shared workspace, and community junk pile in support of open hardware and software projects. We help build new technically literate audiences and communities of artists by running workshops and providing access to tools for digital fabrication, folk electronics, and creative programming. At AS220 Labs, we build things, we break things, we create things, and, most importantly, we help people learn how to make things themselves. In our Labs, you can learn how to make machines from scratch, you can learn how to build computers and robots and play with lasers, or, you can drop by and hack away on your own projects in the company of other like-minded mad scientists. Since August 1994, when the Paul Krot Darkroom was established at 115 Empire Street, AS220’s photography programs have grown to embrace both digital and traditional black and white photography. 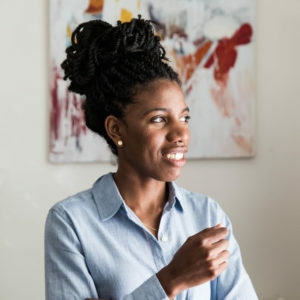 Resources for studio lighting, photo finishing, digital editing, camera rentals, and large-format printing were added, as well as new workshops utilizing these resources. In 2012, the program expanded to include complementary analog and digital mediums such as film, video, audio, and computer/web applications. AS220 currently provides affordable access to graphics software at the Media Arts Lab, and is planning a gradual expansion into new media as resources allow. Our darkrooms were created in August 1994 when recent college graduates Pam Murray and Scott Lapham found themselves suddenly without access to darkroom facilities. By joining forces with AS220, they were able to open a community darkroom in downtown Providence. 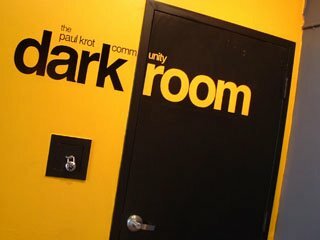 Since then the Paul Krot Community Darkrooms have helped hundreds of photographers practice their craft, and have introduced hundreds more to the art of traditional B&W film photography. Reservations are offered in 4-hour blocks in the darkroom and 1-hour blocks in the photography studio. The media lab is free to drop in when available. Staff and monitor members are available during these times to let other members in, restock supplies, and offer help or advice as they are able.